I’m not generally one to get jealous over the lives of celebrities, but I have to admit, I’m a little bit jealous of the bank accounts of the people on this list. I’m 30 which means every single person on this list is younger than me – younger and far richer than I am now or ever will be. Money can’t buy you happiness, true but it sure can buy you comfort and one has to assume the young, rich celebrities on this list are pretty comfortable. Before we begin, a quick note: the celebrities on this list are ranked by pay alone. That pay is calculated based on film roles, endorsements and various other professional ventures. The estimated pay was calculated based on income between July 2011 and July 2012 ad is an estimate only. Some may have made more but they’ve all made at least what is listed. I am a fan of the Twilight Saga. I like the books more than the movies but with one notable exception I won’t name here, the movies were pretty good. I liked Taylor as Jacob Black but I have been a little less enthusiastic about some of his other film roles and the rumors that Taylor can be a bit of a diva. That’s never a good look on someone, especially someone as young as Taylor. With that said, it is nice to see Taylor doing so well for himself. He’s been in the business a long time and I always like young actors and actresses who have been around for a while land their breakout role. 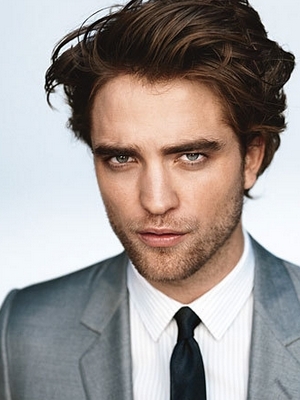 While I’m a casual fan of Taylor Lautner’s work in a few selected movies, I’m a huge fan of Robert Pattinson. His work in the Twilight Saga has always left me a little cold but I’ve really enjoyed most of his other film roles. If I’m being honest though, I have yet to see him in a movie I like as much as the few songs I’ve heard of his. He’s a talented musician and while I’m excited to see where his acting career goes, I’m far more excited to see whether or not he ever records an album. I would be first in line to buy it without question. C’mon, Rob. Get on it. It’s probably no surprise that three of the celebrities on this list belong to the Twilight franchise considering how successful that franchise is. It’s also no surprise that Kristen is earning more than her male counterparts because she’s doing more on her downtime between films. While both Robert and Taylor have had one or two post-Twilight projects on the go, Kristen has had her fingers in everything from a new big budget franchise (Snow White and the Huntsman) to smaller independent flicks (On the Road). Bizarre cheating scandal aside, Kristen is definitely a young actress to keep an eye on. I think she’s going to be around for a long time to come. I have to admit, this one does my heart good. I think Adele is worth every penny she makes and probably more. I know at this point her album 21 is kind of old news, but I couldn’t care less. I love it just as much today as I did the first time I heard it. The fact that she’s handsomely rewarded for sharing her gift with the world gives me a little bit of hope. I’m not saying the Twilight kids aren’t worth the money they make. I’m just saying that no movie has ever moved me the way Adele’s music moves me. This lady has talent to spare and at such a young age. I can only imagine what the future holds for her. Katy Perry has this weird ability to put out pop songs that glue themselves to your brain and refuse to let go. Just writing her name means having one of her songs stuck in my head for the remainder of the day. This time it’s One of the Boys, if you were wondering. There’s definitely a place in the music industry for that kind of artist. Is the current music scene sort of dominated by pop starlets? Sure but in my humble opinion, Katy is one of the best. She’s got a unique voice, performs catchy songs that make me smile and is always interesting. Would I like to see women like Grace Potter, Fiona Apple and Emma-Lee getting even a fraction of the adoration Katy gets? Of course, but I’m not going to hold that against Katy. I love Lady Gaga and I won’t even try to deny it. The lady is bizarre – just completely out there – and I think that’s fantastic. Pop music had been in a pretty boring place for a long time before Gaga came along. Her songs are fun and often feature a good message I think kids should hear. Is she always the best role model? No, but she at least offers a message in her music and that has to count for something considering what many of her peers put out there. Rihanna is another pop star I can really get behind. Despite how it may appear from the little blurbs I’ve written for this article, I’m actually not a big fan of pop music. It just so happens many of the exceptions I make have showed up on this list. I would credit that to the fact that these pop stars do things a little differently and I appreciate that. Rihanna is a great example of that. While her music is definitely pop, her “I am who I am” attitude always gives that music a bit of an edge absent from a lot of pop music. I think Rihanna is an talented young lady and I think she deserves a place on the list of the highest paid celebrities under 30. Oh the Biebs. The only thing that surprised me about his inclusion on this list is that he isn’t at the top of it. And to any Beliebers that should stumble upon this article, I’d like to point out that is not my fault. I didn’t choose the order for the list. It just so happens there is a young lady out there who makes more money than Justin. Take it up with her. Anyway, I have to admit there are a few Bieber songs I enjoy but for the most part, the Biebs just isn’t my cup of tea. He is most definitely successful though and as much as the haters would like to disagree, I think he’s going to be around for a while. I don’t think that’s a bad thing. Feel free to disagree. So this lovely young lady is, at 22 years old, the highest paid celebrity under 3o at the moment but that’s about more than just music. Taylor’s pay includes album sales, tour profits and several high paying endorsements for various things all of which combine for her estimated $57 million pay day. I like some of Taylor’s songs but have yet to actually listen to an entire album. I do respect her though, not just as a musician but as a celebrity. She’s a young girl with more money than she has any reasonable use for but she’s managed to keep her head on her shoulders. That’s not something you see often and that makes Taylor stand out for me. I hope for nothing but the best for this lovely young lady in the future. Are you surprised by any of the names on this list? How many of the people on this list do you think will still be on it next year? Only time will tell but guessing is fun so get in on the action in the comments section below.